Hey everyone! Sorry for the delay in getting this post up (since it was slated for yesterday). I had a family event that ended up taking up all my allotted blogging time...nevertheless, here we go! Let's get to it. I'm super excited for this post because this is an incredibly unique item that I was lucky enough to get my hands on recently. 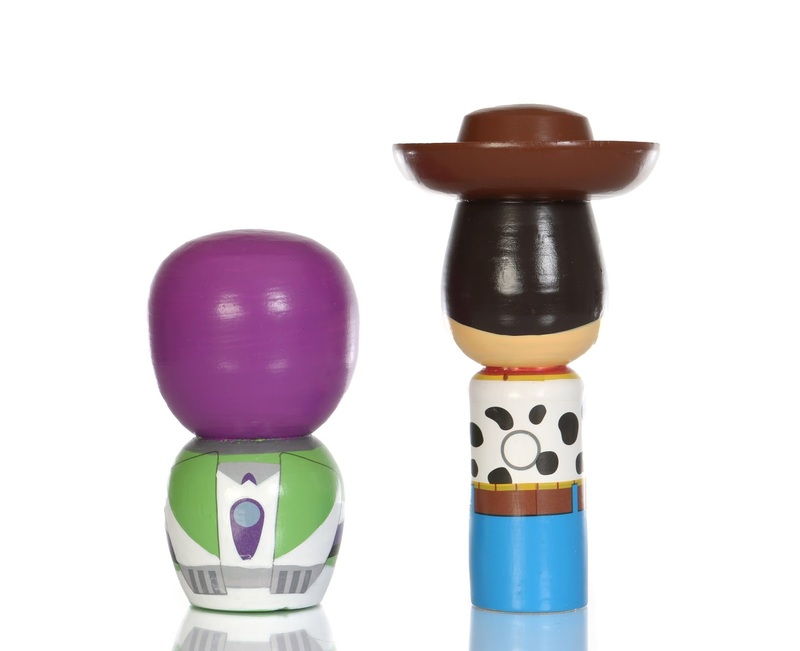 Here we have the D23 Expo 2017 exclusive Toy Story "wooden collectibles" two-pack featuring everyone's favorite duo—Buzz and Woody! 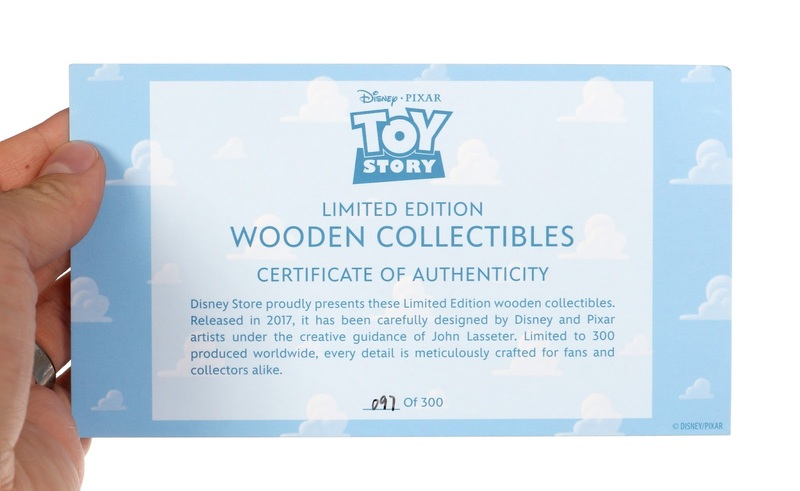 This is a limited edition of only 300 made and was sold only at the Disney Store within the D23 Expo (located on the main show floor) a few weeks back. In terms of quality, style and overall rarity, this boxed set was right up my alley and an absolute must have. I love stuff like this. These figures are inspired by traditional Japanese wooden collectibles known as Kokeshi dolls. You may have have seen this already, but even John Lasseter's signature D23 Expo Reyn Spooner Hawaiian shirt this year featured these and other characters (from films he's worked across all studios) in this same Japanese style (which you can view and purchase on eBay HERE ). It's obvious Lasseter himself was the creative guide here. I'm sure this whole idea came from him. The first thing I noticed when these guys arrived was how big they were. I couldn't find any measurements online before purchasing, but assumed they were a couple inches tall. 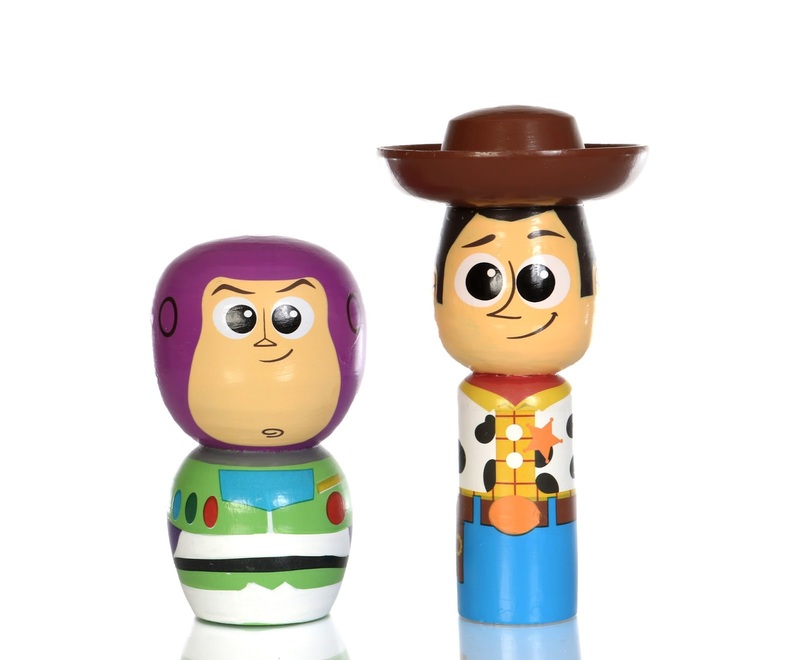 Woody is actually 5 1/2" tall and Buzz is 4" tall. You can see the box they came in above compared to my hand so you can have a better sense of the scale (box measures 8" tall). Speaking of the box, how cool is this packaging? It just screams limited edition. You can tell right away that it's something special. 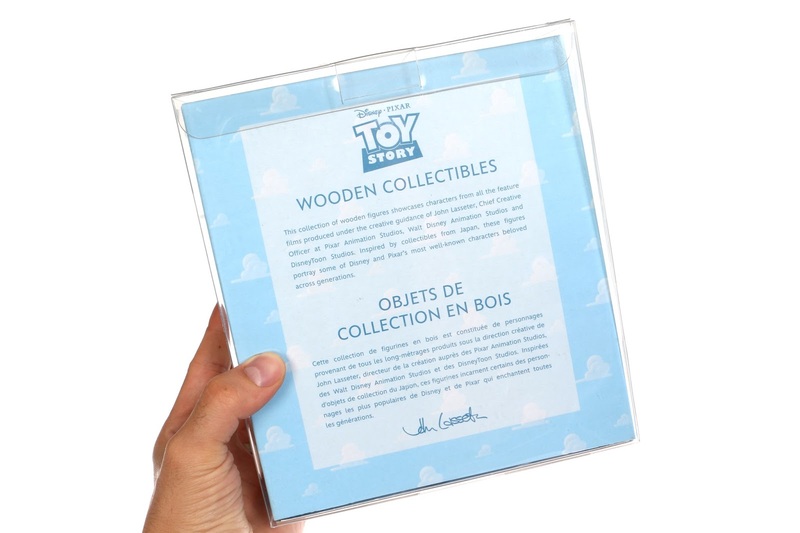 The box is essentially one big clear plastic cube with a cardboard "wood floor" base and a classic Andy's room clouds backdrop. The Disney Store logo and the D23 Expo 2017 seal are featured in the top left and right corners respectively. No limited edition is complete without a certificate of authenticity. My edition number is 97/300—not bad! The dolls themselves are quality crafted and hand painted. They're made of a very lightweight wood and appear to be hollow and not solid. How cute are they, right?! I knew they would look perfect standing on one of my new Toy Story shelves and I was correct. I love seeing them displayed in my office. Though I have many Buzz and Woody collectibles from over the years, I don't have anything else like these. All in all, I find this set completely adorable and very tastefully done. These dolls are simple, yet have all sorts of cute details; plus I like that adult collectors were in mind. Original retail was $59.95 and is currently selling on eBay for between $75-$100 (which isn't bad at all for something this limited). VISIT THIS DIRECT LINK to current eBay listings if you're interested in grabbing this unique set for your collection and be sure to let me know your thoughts in the comments below! 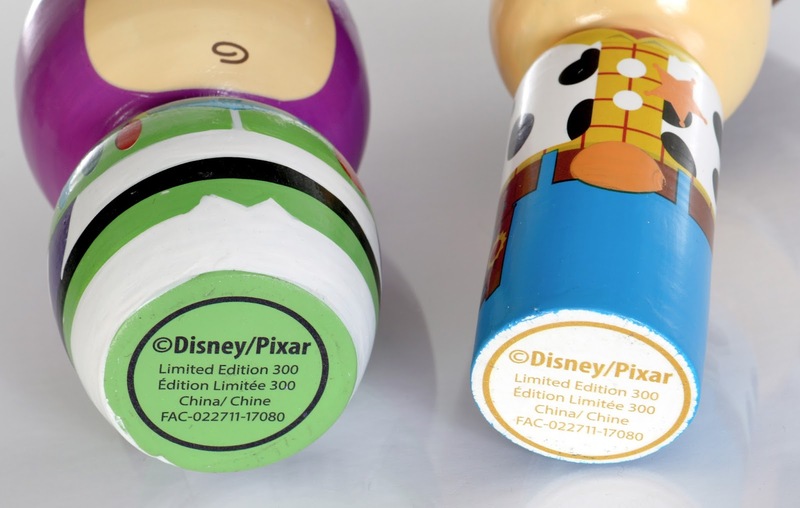 Final Note: There were also two other wooden collectible sets released at the D23 Expo this year, one featuring characters from Frozen and one with characters from Moana. 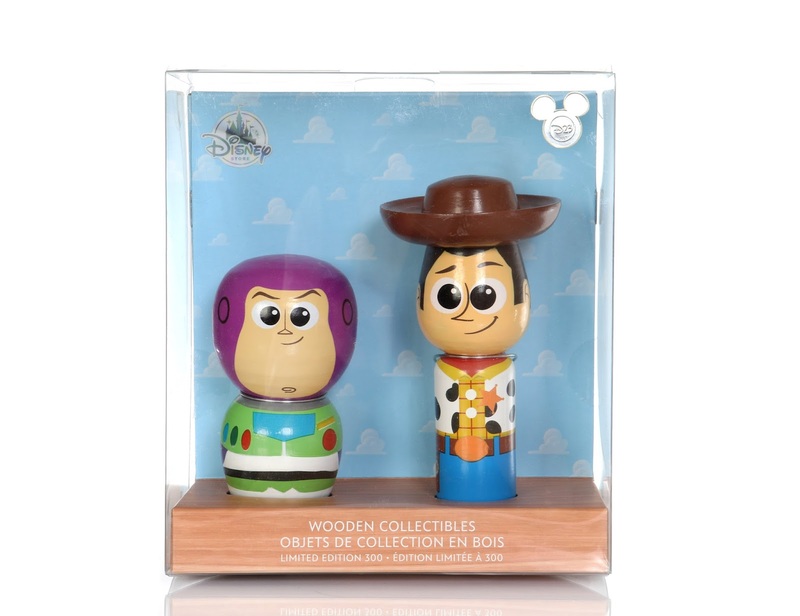 On the back of the box it reads "This collection of wooden figures showcases characters from all the feature films produced under the creative guidance of John Lasseter..." Does that mean many more of these sets are coming? It does say "ALL" of John Lasseter's feature films are showcased in this collection... ;) What do you think?